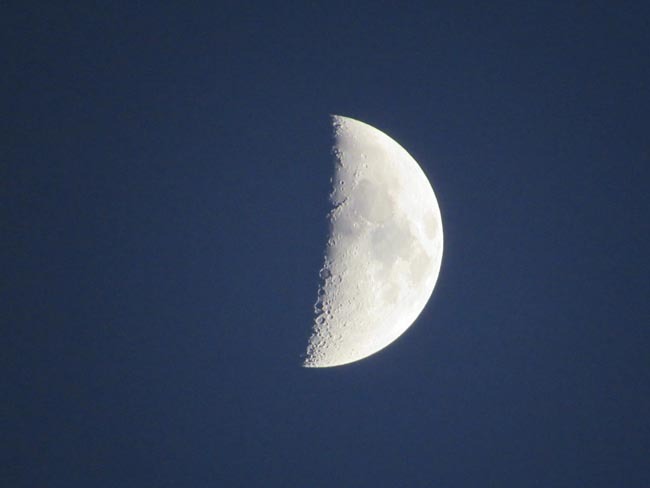 I amazed myself by taking this photo on Christmas afternoon, while the moon was more or less directly overhead. I hadn’t imagined the 50-to-1 optical zoom on my Canon was going to be this good, or that the software would be able to stop the image jittering. I hadn’t even brought a tripod with me.